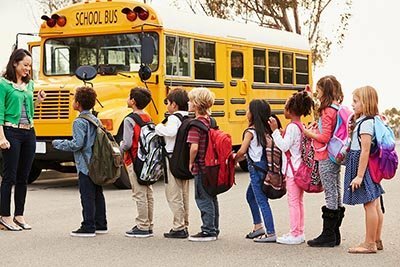 Half of Americans with children say that the quality of the school district is important when shopping for a home, compared with only about 10 percent of those without kids. More than one-quarter of homebuyers who have kids delayed a real estate purchase because of child-care expenses. Regardless of whether they have children, 87 percent of all homebuyers employed the services of a real estate professional. Survey results released earlier this summer showed that nearly 80 percent of recent homebuyers sacrificed some amenities to purchase a property in their desired school district, and now another poll echoes the importance of education in the real estate decision-making process. The National Association of Realtors’ 2018 Moving With Kids Report found that 50 percent of homebuyers with children under the age of 18 said that the quality of the school district was important when shopping for a home, compared with just 11 percent of those without kids. Similarly, 45 percent of families prioritized convenience to schools when purchasing a home, while only 6 percent of childless buyers did the same. Perhaps because of school schedules, buyers with children showed more urgency than those without when selling their current home. More than one-quarter of families said that they were in a rush to unload their home, compared with 14 percent of homeowners without children. Both buyers with and without children prefer detached, single-family residences, but the former group predictably wants more room than the latter — four bedrooms and 2,100 square feet of living space. In fact, the need for more space was the biggest reason that families said they sold their homes, cited by 24 percent of those surveyed. Child care expenses caused 27 percent of homebuyers with kids to delay a real estate purchase. The cost of caring for kids also forced families to make substantial sacrifices when making a final real estate decision; about 30 percent compromised on the home’s size and price, while 22 percent gave up proximity to work and the home’s condition and architectural style. Even if homebuyers with and without kids have different preferences and constraints when choosing a neighborhood and a home, there are a couple of points where both groups are exactly alike. Fifty-four percent of families and households without children said that finding the right home was the most difficult part of the process, likely a byproduct of the nation’s ongoing housing inventory crunch. And 87 percent of both groups employed the services of a real estate professional to help them navigate the process, with referrals from family members or friends the most common method of locating a professional.